Coach Courtney was born and raised in New Jersey where she played for Watchung Hills Regional HS. She went to play defense at Ursinus College, a school outside Philadelphia where she majored in Psychology and minored in Neuroscience and Coaching. 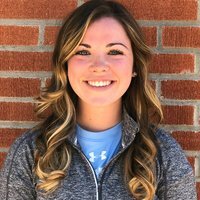 After graduation, Courtney moved to Southern California to attend Long Beach State University where she is currently pursuing a Masters in Sport and Exercise Psychology. Courtney is also currently Los Alamitos Head Girl's Lacrosse Coach.